Q: How many teeth on this crankset? Q: What is the lenght on this arm? 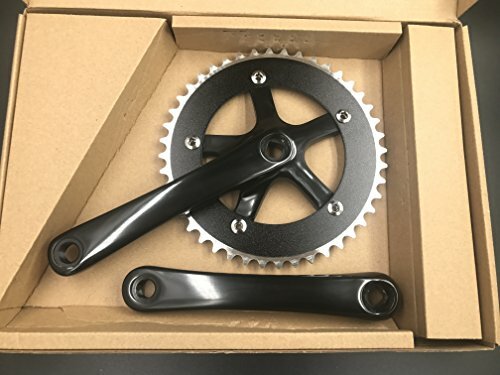 Q: Does this Crankset come with both crank arms or just the drive side? Q: What pedal size does this Crankset work with? 9/16 or 1/2? Q: What is the BCD of this Crankset? Q: What chain width does it use? A: Standard 1/2" X 1/8"
Q: Does this work on a square taper Crankset? Q: What size bottom bracket should be used for a single speed bike? Q: Does this Crankset come with a bottom bracket? If you have any questions about this product by CDHPOWER, contact us by completing and submitting the form below. If you are looking for a specif part number, please include it with your message.